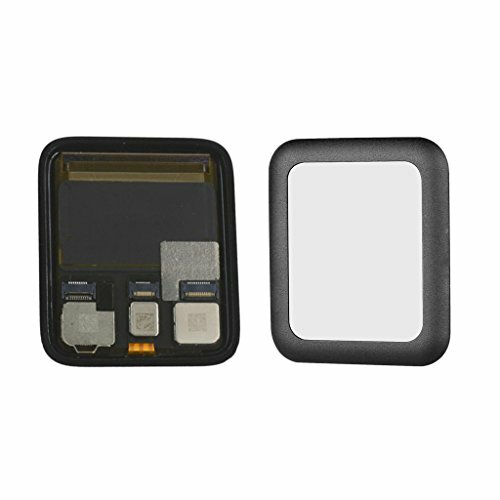 LCD Display Digitizer: Sapphire Crystal Version LCD Touch Screen and Digitizer Assembly Replacement Part. Screen Protector Film: Highest Quality 9H Hardness Tempered Glass Screen Protector Film Guard Shield Black Aluminum Frame. Compatible with Apple Watch iWatch Series 2 ( 2nd generation ) 42mm Only.